This delicious dish will get those tastebuds tantalized. Bursting with fragrant flavors and sprinkled with a hint of spice, you won’t want it to end. Gluten-free, and packed with protein, this macro-balanced meal is all you need on a Tuesday evening. Bring a large pot of water to a boil, and add the entire box of brown rice noodles. Boil the noodles for 4 minutes, or until tender, and drain. Set aside. 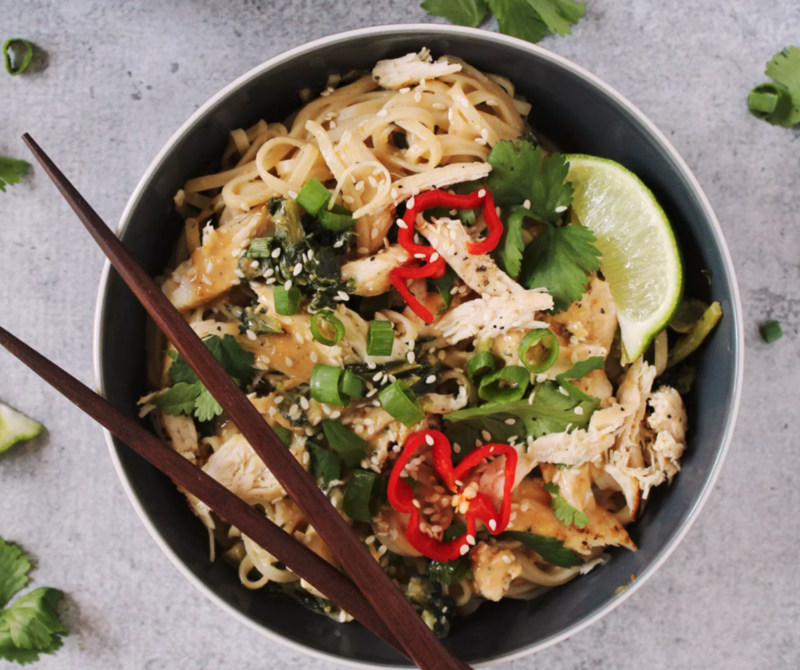 In a medium bowl whisk together the coconut milk, peanut butter, garlic, onion, honey, soy sauce, lime juice and red pepper flakes, and set aside. Heat the olive oil in a large skillet over medium-high heat. Add the broccoli and mushrooms. Sprinkle both sides of the chicken with salt and pepper and then coat, with some of the peanut sauce. Place the chicken in the skillet with the broccoli and mushrooms until cooked through. 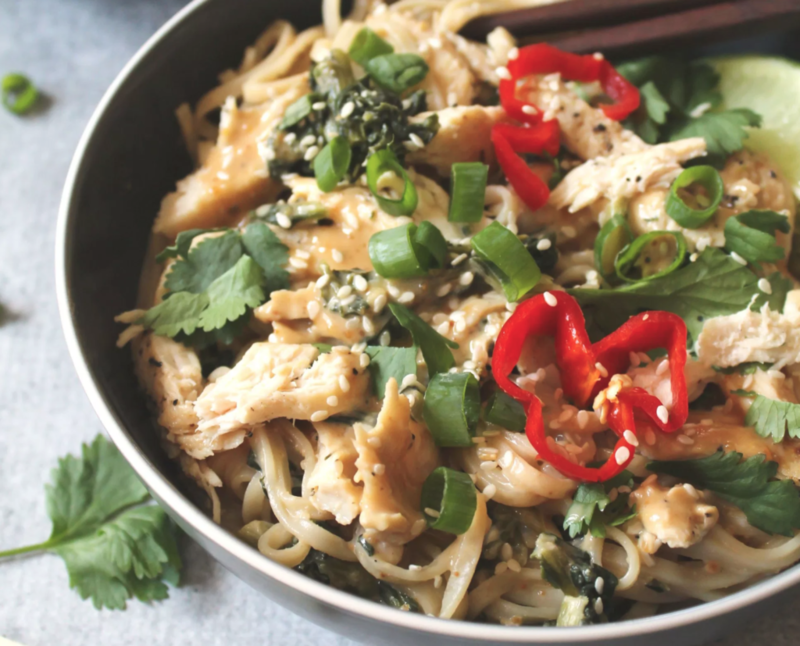 While the chicken and broccoli are cooking, add the drained noodles and toss together with the rest of the peanut sauce. Then place the noodles in each bowl. Sprinkle the coriander, sesame seeds and peanuts on top.